Today marks the second annual Firefighters’ Memorial Day, organised by the Firefighters Memorial Trust and supported by the Fire Brigades Union. A small ceremony is set to be held by the Firefighters Memorial near St Paul’s Cathedral, and fire and rescue services across the country will be paying their respects with a minute’s silence. 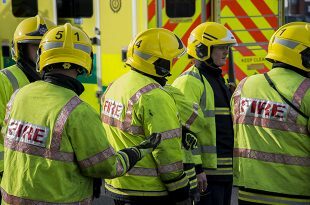 The Minister for Policing and Fire, Nick Hurd, has paid tribute to the 2,524 firefighters who have lost their life in the line of duty. I pay tribute to the bravery and dedication of our firefighters who work tirelessly everyday to protect the communities they serve. Today we honour fallen firefighters who tragically died while undertaking their role and extend our deepest sympathies to their families and loved ones.